Give a lovely keepsake Christening gift as a memento of the occasion. 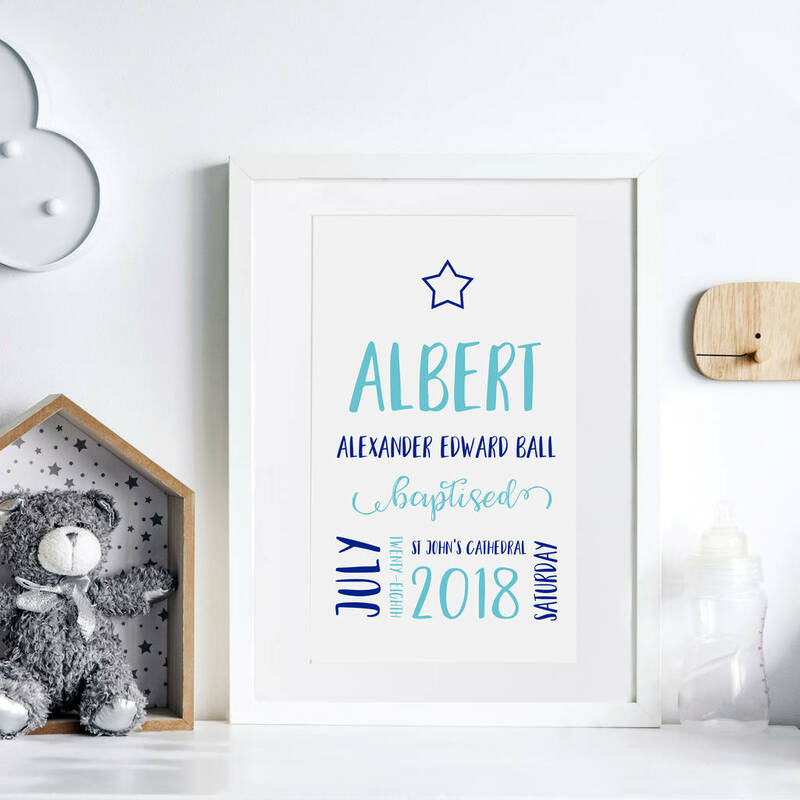 A unique gift for newly christened child or recipient. A lovely memento of the special occasion including all of the days details. 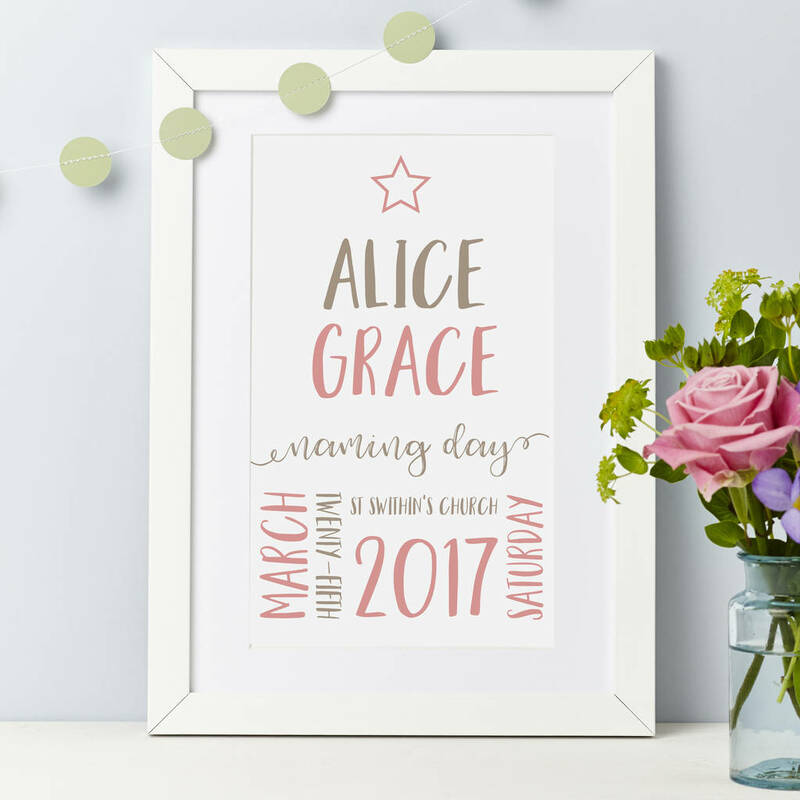 An ideal keepsake to decorate the nursery wall. Available in many colourways to match the interior decoration. Line seven - black, charocal, chocolate, sand. Main image colours are petrol and duck egg. A unique gift that can be treasured. You provide your own details to the design making your gift totally original. Please provide all the details required in the boxes provided. Printed in two shades with either a church emblem or a star at the top. 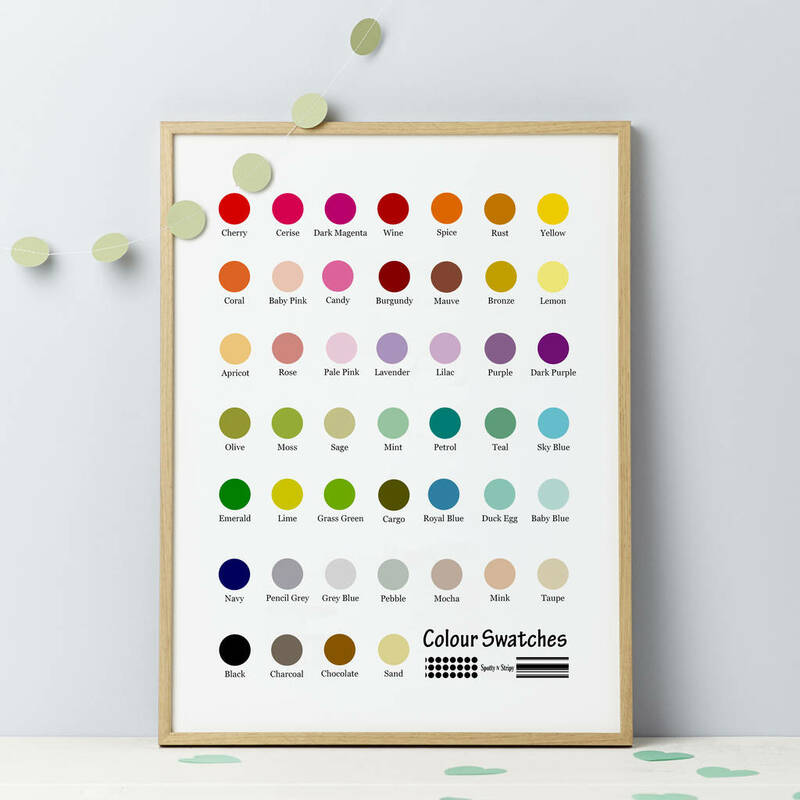 Please make your colour selections using the drop down boxes and see the colour sample image for examples of the colours available (please note the colours on screen are a representation only and may differ slightly depending on different monitor settings). Name one will be printed in colour one and name two in colour two. 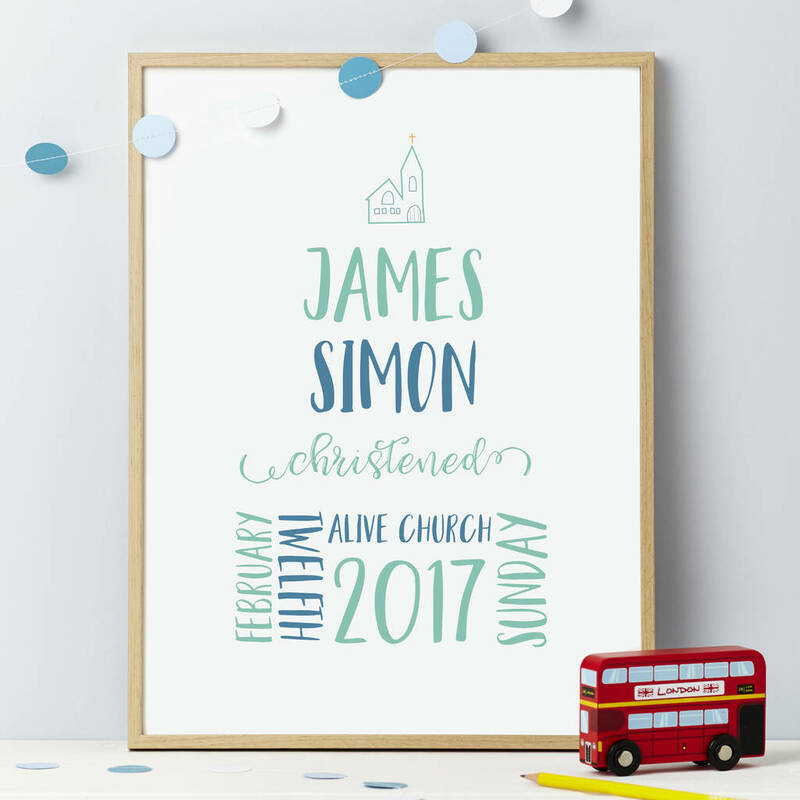 Enter the occasion for which the print is required - Christening, Naming Day, Baptism, Dedication, Blessing, Communion. Option 1: A lovely A4 un-mounted print - comes cellophane wrapped with a logo sticker in a board backed envelope. Option 2: The A4 print is supplied mounted in a thick white square mount board with backing board and presented cellophane wrapped and sealed with a logo sticker. Size of Mounted Print A4 (21 x 27.9 cm) Supplied in a sturdy board envelope. Option 3: A mounted and framed A4 print - supplied in a white contemporary square, glass fronted frame (made in lincolnshire, uk). Sent double wrapped in bubble-wrap and enclosed in a thick cardboard frame box. Any add on options, such as framing, may not be included in the sale discount. Please provide all the details required in the boxes provided. We use high calibre dye based photographic inks, premium quality white archival photographic print board and snow white coloured mount board.